Made of natural plum wood. Size: 13 cm (height) x 5 cm (diameter). 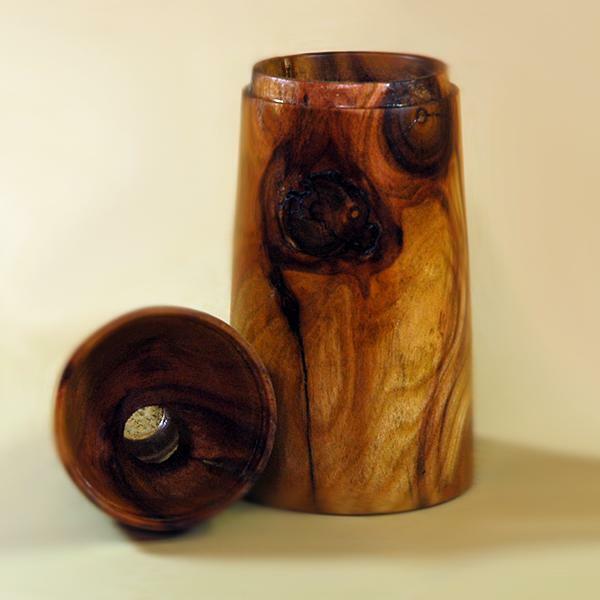 A wooden jar carved from plum wood. Suitable for storing spices or small objects like beads, coins etc.